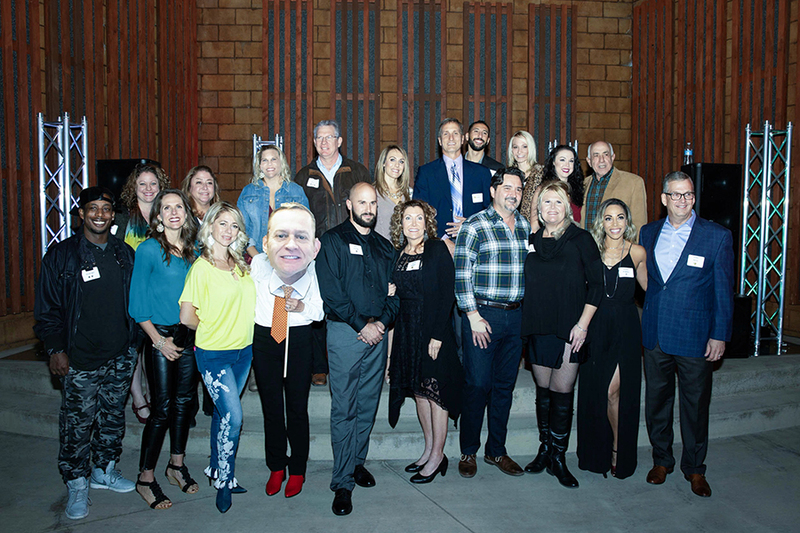 On October 25th the Boys & Girls Clubs of Central Arizona (BGCCAZ) held the Dancing for the Stars (DFTS) Reveal Party to announce the 2019 dancers. The party was held at the beautiful Holiday Courtyard in downtown Prescott. DFTS began in 2017 as a fundraiser for the Boys & Girls Clubs of Central Arizona. The 2017 and 2018 event drew around 5000 people, participating by watching the event at the Elks Theater, the local cable channel or via live-streaming. Last year the VIP performance sold out in less than 24 hours. This year is guaranteed to be just as exciting with the announcement of the 2019 Dancers. Most importantly, DFTS raised just over a fourth of BGCCAZ’s annual budget in 2018. Celebrity Dancer Deputy Chief of Police Amy Bonney and 3 year DFTS pro Patrick Wilcox. Celebrity Dancer El Gato Azul owner Barry Barbe and 3 year DFTS pro dancer Carie Hughes. Celebrity Dancer Executive Director of Hospice for Good Samaritan Julie Cowing with 2 year DFTS pro Sarah Hinson. Celebrity Dancer Anesthesiologist Dr. Dan Beck with new DFTS pro Jamie Procknow. Celebrity Dancer Community Leader Megan Holdsworth and 2 year DFTS pro Ronald Howard. Celebrity Dancer developer and owner of Lakeview Plaza Ken Mabarak with new DFTS pro dancer Rachele Smith. Celebrity Dancer owner of Center for Physical Excellence Laura Markey with new DFTS pro Moe Fuller. Celebrity Dancer attorney John Mull with new DFTS pro Alexis Pursell. Celebrity Dancer Park Plaza Liquor & Deli owner Veronica Phillips and 3 year DFTS pro Zach Leonard. Celebrity Dancer Yavapai County Assessor Judd Simmons with new DFTS pro Marina Rogova- O’Brien. Tickets for the matinee ($50) and VIP ($250) performances will go on sale mid-January. To sign up to be the first to know when tickets go on sale go to www.bgccaz.org.